Cast-iron skillets and other cooking items are not hard to maintain, but you must season them first for the best outcome of your food. I love mine and even have one that belonged to my dad’s mother, my grandmother who died many years ago. I now have the ones my mom cooked with when I lived at home plus my own. I like the older brands better because quality was key then. These skillets are so multipurpose. 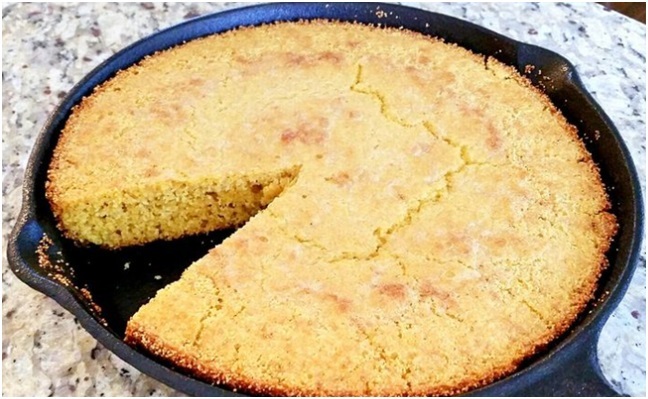 A cast-iron skillet will bake up a batch of cornbread all crispy around the edges that no one can say no to. Fresh out of the oven, hot, with butter and honey on top is a delight to have with beans and ham hocks! I also like the corn cob cast-iron pan that looks cute and the hold-in-your-hand ‘cobs’ crispy all over. The best pineapple upside cake is made in a cast-iron skillet so sweet using brown sugar, butter, other ingredients and adding maraschino cherries and pecans if you like nuts on it. 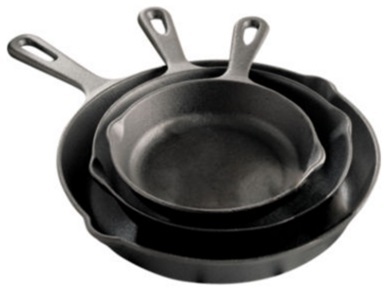 Cast-iron skillets have even heat distribution and heat retention. When you preseason cast-iron it will never stick, not even when cooking eggs with bacon. They go from the cooktop to your oven and come out with a perfectly cooked dish. Cast-iron will work for you when they keep their seasoning, as it is called, oiling the skillet inside then baking it for an hour at 350-degrees F. When seasoned, they will be shiny and smooth. You will need to re-season from time-to-time because the oil will eventually cook off. 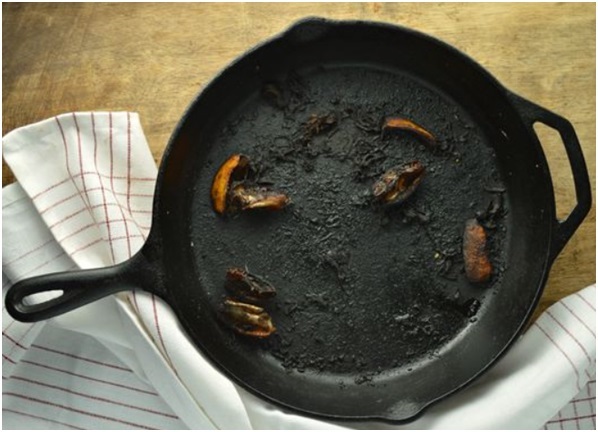 After cooking or baking, clean your cast-iron skillet while still hot in the sink and rinse with hot water. Do not use dish detergent, steel wool scouring pads, or put into the dishwasher. This will cause iron to rust and your food will taste like soap. Use a sponge that is not abrasive. Do this process until all the food particles are gone. Dry the pan or skillet completely with a cotton dish towel. Paper towels stick and are not advisable. After completely dry, add a thin coat of cooking oil to the insides. 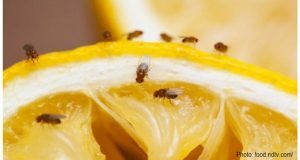 If you use too much oil, the interior will become sticky. For stuck-on fried chicken bits, cook with water until it boils, and it will loosen and come out. The meat bits make great gravy! You will have a bit of work to do, but it’s worth it when you bite into crispy chicken or crunchy-edged cornbread or seared crunchy-edged burgers. Kids love pancakes with crispy edges. You can use Morton Coarse Kosher Salt and a wet rag, sponge, or a half of potato with salt to loosen cooked-on food and rust spots. Rinse and towel dry and put the items away. Do not store with the lids on and away from moisture of sinks and dishwashers where they might rust. Always re-season if foods start to stick. It’s easy to do and your family will love what you’ve created. Pass your cast-iron on to your kids and grand kids and keep these gems in your family for generations to come. 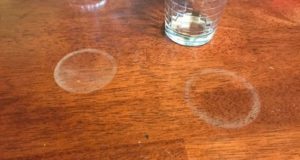 Easy Trick To Clean Cast-Iron video.